Yes it's Christmas time! Have you done your Christmas shopping yet? or you just don't know what to get your loved one? 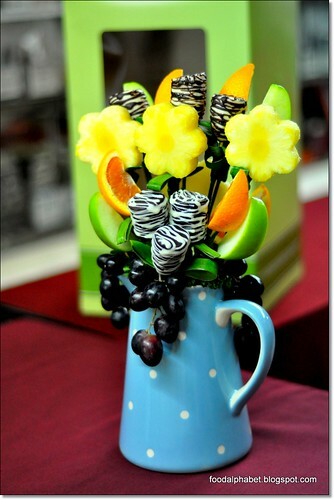 Well, Fruits in Bloom is just the perfect gift for your special someone. 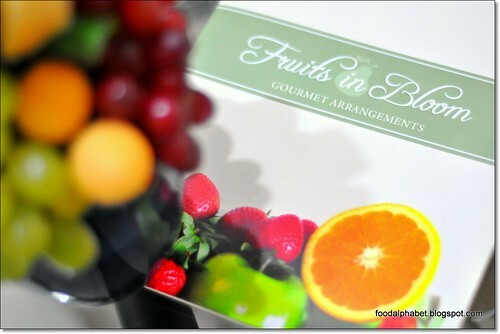 Made with fresh fruits, prepared only a few hours after you receive them, to ensure freshness with every bite. Care to see what they have in store for your this Christmas time? 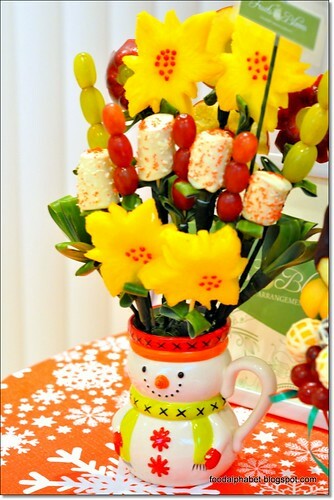 Lots of sweets, lots of color, lots of love and a whole lot of "Christmas"
That snow man really looks very nice and festive, look at those sunflowers, actually those are pineapple sunflowers, they look nice right? They taste very sweet too! 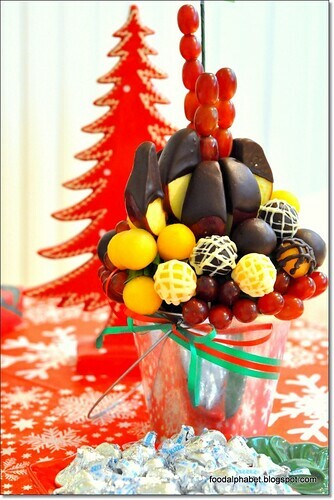 Oh Christmas Tree, Oh Christmas Tree.... just look at those chocolate coated apples, mangoes, chocolate frosted bananas and even grapes, yummy! 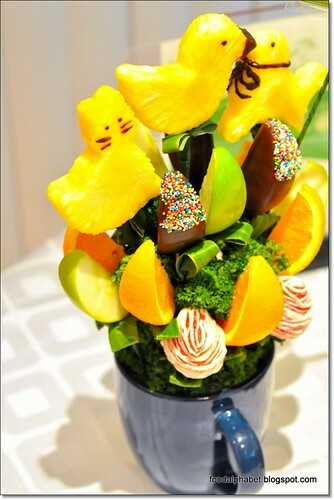 That pineapple Chrismas tree is just so adorable! And look at those strawberries! Well its the Christmas season so to say, just look at the faces of your loved ones when they receive this one of a kind gift. 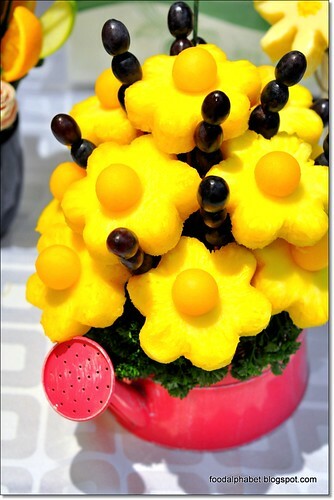 Not only are they great looking, they are fresh and very edible as well. Great gift idea right? 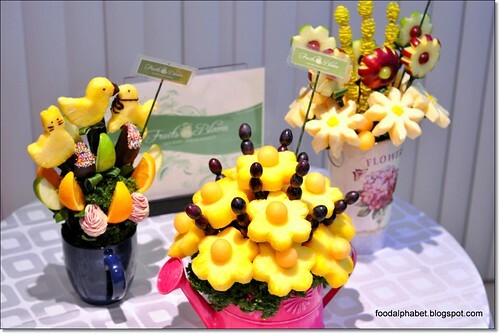 Well, other than these Christmas edition Fruits in Bloom in parade, they also have other all occasion gifts, which may be used as a display, a centerpiece or if you just want to amaze your friends. 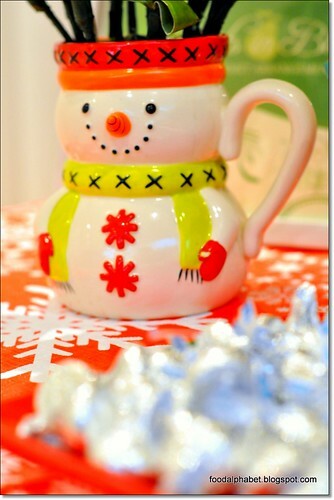 I just love the pitcher, my kind of color, hey chocolate coated marshmallows! Haha that was what I thought, They are actually bananas, "Galing noh!" 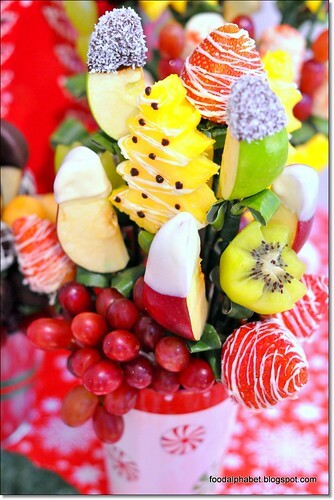 mangoes with red and green apples, nice colors! 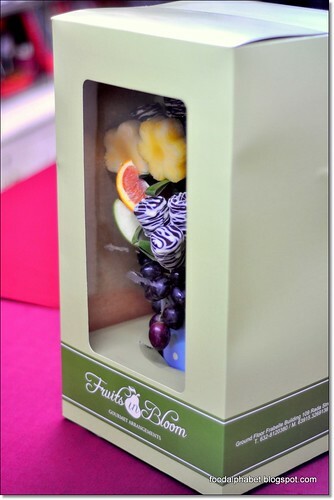 When giving them to your special someone, they come sealed in specially designed boxes for you to appreciate while keeping the freshness sealed in. With various designs to choose from, you can surely find one that suits your needs, or better yet, give them an idea of what you what, and maybe you can get one personalized just for you. 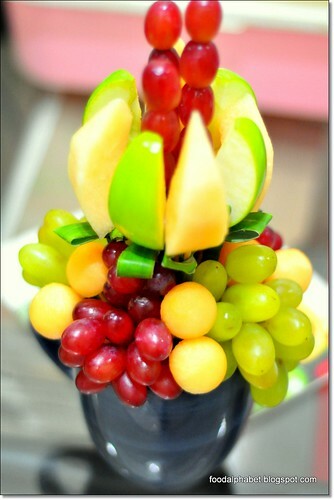 Arrangements start at P650.00 and depends on where your creativity and take you. 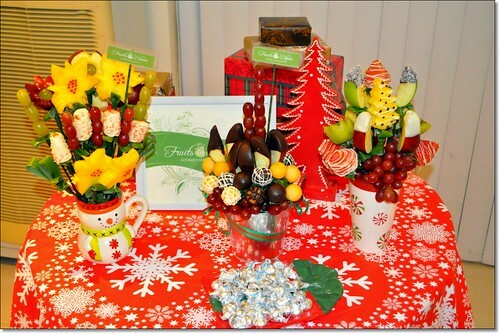 Make this Christmas season special for you and your loved one, give them Fruits in Bloom: Gourmet Arrangements. 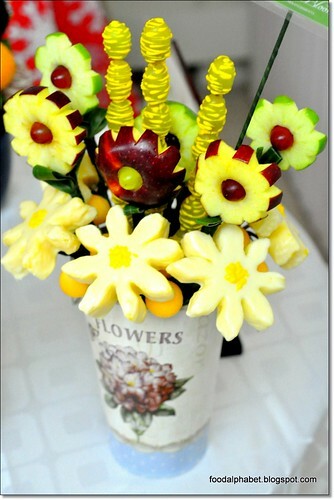 They will surely be smiling and giving you much love when they receive this.